...and how you can do it, too! I've met so many educators who have excellent STEM classes and programs but are frustrated with low female enrollment. Their courses may prepare students for exciting and well-paying STEM career pathways, but the students they prepare are overwhelmingly male, and the few female students that do enroll often drop out. These educators sincerely want to increase the number of female students in their classes and ensure that every woman and girl feels empowered to choose a career in science, technology, engineering and math. Despite their best recruitment and retention efforts, year after year, the number of female students in their STEM classes remains low. Yet I also know educators who have been able to increase female enrollment in their STEM classes, and improve retention rates for female (and male!) students. These educators recruit and teach more effectively, so that more women are recruited to STEM classes and more female and male students are retained in their classrooms. They've thrown out the playbook of popular but ineffective gender equity outreach and retention methods and started using evidence-based strategies that have been proven to work. After 30 years in STEM education, I’ve developed an 8 point system for recruitment and a 12 point system for retention that provides numerical results in about one year -- not just the hope of eventual change 5-10 years down the road that nobody can measure. Educators I have worked with have transformed their STEM classrooms, increasing female enrollment by up to 25-50% and improving the gender diversity at their institutions. 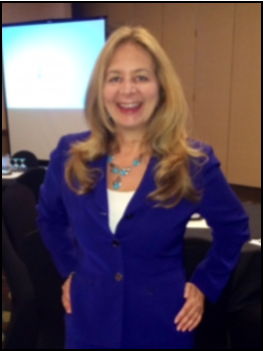 I’ve had the honor of conducting hundreds of trainings on recruiting and retaining female students in STEM education for national, state and regional educational institutions, organizations and employers in 46 states and Canada. The increases in female enrollment these educators have achieved and opportunities in STEM they have opened to women are an inspiration to me. I know you have stellar classes that can set up students for engaging and well-paying STEM careers. And I know you want to make sure these opportunities are extended to all potential students, women included! It’s time to stop using outreach methods that don’t work to recruit more women to the classroom, and retention strategies that don’t help keep female (and male) students in the classroom. I know you don’t have to stick with approaches that aren't working for your classroom. I also know it’s easier to transform your STEM classroom when you have a step by step program to increase the number of female students in the classroom. If you could increase the number of women in your STEM classrooms, what would that look like? You know your excellent STEM programs have a lot to offer students. "The training was time well spent. It was such a minimal amount of time to get so many concrete implementable strategies. The WomenTech Educators Online Training gives you the most for your money—you can implement the tools immediately with minimal resources and see true quantitative results!" 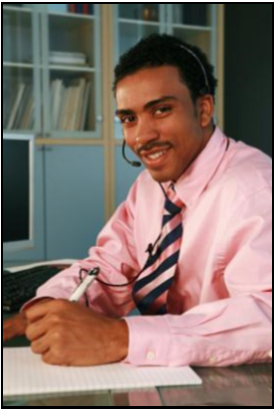 "The online training was very manageable because it was asynchronous. I'm always teaching an overload, but you watch the training videos at your leisure, and participate as you're able. Because of that I was able to integrate the training into my very busy schedule." "A lot of people, including me before I met Donna, do a lot of things that aren’t necessarily recruitment, they’re career awareness tools. People think if you put up a flyer that will solve the problem. Donna really taught us proven techniques to grow the program." "Completely made me re-evaluate the approach that we have been taking. I realized the many mistakes and plan to make changes that I learned from the training. Great information!" To obtain numerical results in female enrollment in your STEM classes in about one year, you need a proven system for recruitment and retention. When you bring this all together, you can start increasing female enrollment in your STEM classroom. Finding the "right" target audience for your goal will help you enroll more women in your STEM classes. Transform your campus' approach to women in STEM through the development of a Leadership Team. Leverage online strategies to harness female role models for all students and to recruit 24/7. Close the experience gap by providing students with building block or bridge skills. Understand how to make your female students feel welcome, and what not to do. Engage female students by teaching about the subjects that they most care about. Finally having the proven system that can help you increase the number of women in your STEM classes! You get to learn how to achieve “WomenTech Success” in 8 convenient online modules that you can access from anywhere, even your home office. All of which are available for an entire year so that you can work at your own pace, whenever you want. There’s no rush. You can do the whole course in a week, a month, or a year depending on the pace that you prefer. In my 30 years in STEM education, I’ve learned that not only are student learning styles different, but the learning styles of educators are, too! That’s why I’ve provided a variety of learning tools along with my WomenTech Educators knowledgebase so you get the most value. Enroll today and empower yourself and one or two of your colleagues to recruit and retain more women in your STEM classes. 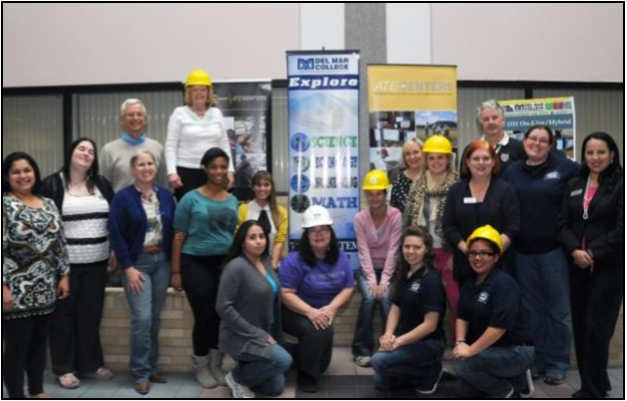 "In the Telesummit I enjoyed learning the various ways educators can assist female students in the trades. For example, structuring activities to make sure that women get equal access to hands-on activities. Awesome information!" "One thing I really appreciated was the level of professionalism from the speaker, [Donna Milgram]. She also conveyed several concrete examples such as staffing tech labs with females, and motivating [students with] projects to do "good" in the world. These are things we will strive for in our own program." This Outreach Kit plus the included Online Website Strategy Guide will help you increase the number of women in your school’s technology programs. Recruit more women to your STEM programs with these fill-in-the blank templates for proven outreach materials. You’ll take the guesswork out of your outreach. We’ve made it easy for you to find online role model resources that will help women and girls see themselves in all career pathways. Also, find sample curricula and websites that teach programming in a female-friendly way. Don’t miss this; it will save you many hours of research. "For a long time, we heard from educators, 'Well, we can't find any girls who WANT to be welders'- but now, there's an increased perception that supporting female students in male-dominated careers is a much bigger deal, and there are resources available that can give all students a better ability to explore and pursue their interests. IWITTS materials like the STEM bibliography and Outreach Kit are a huge part of the resources we can offer to districts to help them serve their students. It's not just about Perkins compliance anymore." Watch this short video to learn how to help your female (and male) students be more successful in their STEM courses. Yes! My WomenTech Success Self-Study Program is a great fit for anyone who is involved in teaching STEM, male or female, especially at the community college level! We’ve had many male educators come through our WomenTech Educators Training and achieve excellent results. In fact, the majority of STEM educators are male, and I have done this training in the past with 100% male attendees. My WomenTech Success Self-Study Program is open to all—the only thing we’re focused on is laying the foundation for truly impactful change across your STEM programs. Absolutely! I know that teamwork is an important component of learning, and just because you’ve chosen to empower yourself to be a champion for women in STEM at your school doesn’t mean you have to do it alone! You can invite up to two additional colleagues to take the WomenTech Success Self-Study Program with you, and they too will have access to the entire program for a full year. Want to offer an exciting and powerful training opportunity to your entire department, school, or district? The WomenTech Success Self-Study Program is our most accessible training available, and we can provide you with an institutional license so that educators at your school can dive into our WomenTech Educators Training knowledgebase throughout the year. Just fill out our easy Institutional License Inquiry form today to find out how this program can help your entire school, district, or state. To expand opportunities for women in STEM, it's up to educators like you to step up and change the status quo. Now is the time to empower yourself to be a champion for women in STEM at your school, and it’s never been easier with our entirely online WomenTech Success Self-Study Program. I look forward to helping you find WomenTech Success!